MP3 streaming version of city sounds, 2:30. MP3 streaming version of country sounds, 1:28. MP3 streaming version of electronic sounds, 2:11. MP3 streaming version of manual sounds, 1:26. MP3 streaming version of wind sounds, 1:11. MP3 streaming version of small sounds, 3:09. Larry Austin has his own home page. It is here: http://www.music.unt.edu/CEMI/austin.htm. Larry Austin (b. 1930, Oklahoma), composer, was educated in Texas and California, studying with Canadian composer Violet Archer, French composer Darius Milhaud, and American composer Andrew Imbrie. He also enjoyed extended associations in the 'sixties with composers John Cage, Karlheinz Stockhausen, and David Tudor. Austin's orchestral works have been performed and recorded by the New York Philharmonic, Boston Symphony, the National Symphony orchestras, as well as many other orchestras in North America and Europe. 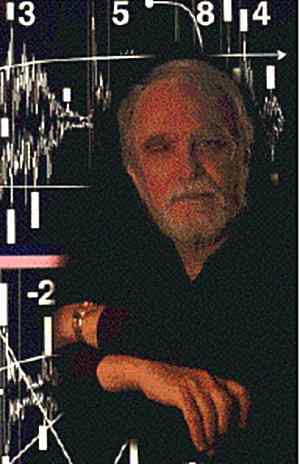 Since 1964, he has composed more than seventy works incorporating electroacoustic and computer music media: combinations of tape, instruments, voices, orchestra, live-electronics and real-time computer processing, as well as solo audio and video tape compositions. Austin has received numerous commissions, grants, and awards, his works widely performed and recorded, including the 1994 premiere recording of Austin's complete realization (1974-93) of Charles Ives's transcendental Universe Symphony (1911-51), its European premiere at the 1995 Warsaw Autumn Festival by the National Philharmonic of Warsaw and its German premiere at the 1998 Music in the 20th Century festival by the Saarland Rundfunk Sinfonieorchester. 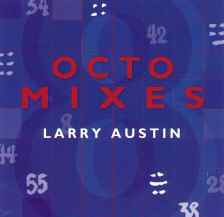 In 1996, Austin was awarded the prestigious Magistere (Magisterium) prize/title in the 23rd International Electroacoustic Music Competition, Bourges, France, for his work BluesAx (1995-96), for saxophonist and tape/electronics, and for his work and influential leadership in electroacoustic music genres through the past thirty years. 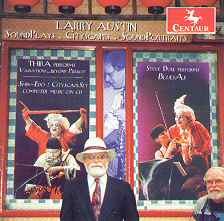 Austin was the first US composer to receive the Magistere. In 1998, Austin was awarded a month-long composer residency at the Rockefeller Foundation Bellagio Center in Italy. From 1958 to 1972 Austin was a member of the music faculty of the University of California, Davis, active there as a conductor, performer, and composer. There, in 1966 he co-founded, edited, and published the new music journal, SOURCE: Music of the Avant Garde. Subsequently, he served on the faculties ofthe University of South Florida, 1972-78, and the University of North Texas,1978-96, founding and directing extensivfe computer music studios at both universities. In 1986 he co-founded and continues as president of CDCM: Consortium to Distribute Computer Music, producer of the CDCM Computer Music Series on Centaur Records, with twenty-five compact disc volumes released since 1988. On the Board of Directors of the International Computer Music Association, Austin served as its president, 1990-94. Retiring from his 38-year academic career in 1996, Austin resides with his wife Edna at their home in Denton, Texas. Working in and out of his Denton studio, gaLarry, Austin continues his active composing career with commissions, tours, performances, recordings, and lecturing, anticipating future extended composer residencies in New York, Tokyo, and Europe.